This is just a short list of some of the conditions we commonly treat. Please call 01628 481866 if you would like to discuss your injury further or to book an appointment. Pain in the wrist and hand can be due to injury to the ligaments, joints and muscles in the local area. Pain in the wrist and hand can be referred from the neck and thoracic spine (upper back). Overuse of the hand and wrist can cause swelling and pain of the tendons and is commonly known as RSI. Pain can be from the joints, ligaments, discs and muscles of the neck. Pain can be referred from the neck into arm or into the head causing headaches. Neck pain is often related to static postures such as sitting in the car or at a desk. Jaw problems can lead to headaches if un-treated. Certain vestibular problems respond well to rehabilitation. Pain in the shoulder can be from the joint, capsule, muscles or ligaments or referred from the neck. Often injury to the joint is related to the way the shoulder muscles control the movement and posture of the shoulder. Frozen shoulder is the painful tightening of the joint capsule. Rotator cuff tendon problems result from overuse or trauma to the tendon often resulting in pain at the top of the upper arm. The most common causes of pain at the elbow are tennis and golfers elbow. These are irritations of the tendon where they attach to the bone at the elbow. The pain typically develops gradually and may only be painful following exercise. Pain at the elbow can also be referred from the neck. A thoracic joint disorder often results from an overstretching injury when the upper back is rotated or bent too far. It commonly results in a dull ache and stiffness in the upper back which is made worse by movements of the trunk. This can sometimes refer (be felt elsewhere) into the front of the chest. If the nerves are involved you may have pins and needles or areas of numbness. Low back is one of the most frequently treated injuries at the clinic. It can be caused by poor postures such as bending and sitting incorrectly, or it can result following trauma. There is often a dull or strong ache, which may be central in the back, to one side or on both sides of the spine. It may also radiate down into the buttocks, back of the thigh or lower leg. Pelvic problems are common in predominantly the pregnant and postnatal population. We have a specialist physio to help with these problems. However we also treat a large amount of pelvic problems in the male population particularly when they present as an adductor/groin injury. Thigh pain is predominantly caused by problems in the quadriceps (front of thigh) or hamstrings (back of thigh). Hamstring strains are the most common and typically occur during running or sprinting just before or after the hip hits the ground. The first sensation you feel is sudden pain in the back of the thigh due to damage to muscle fibres. At the same time you may have a 'tearing' sensation. Sometimes hamstring pain can be referred pain from a problem in the lumbar spine. Knee pain can be caused by overuse (such as runner's knee) or by a specific incident (such as ACL rupture from twisting playing football). If knee pain feels internal then it is more likely to be a joint, cartilage or ligament problem. Whereas if it is most external it is more likely caused by a knee cap or tendon issue. Knee pain can also be referred from another site in the body such as the lower back and pelvis. Lower leg problems are common in most sports involving weight-bearing, particularly running. They are usually caused by excessive overload either traumatic or mechanical. 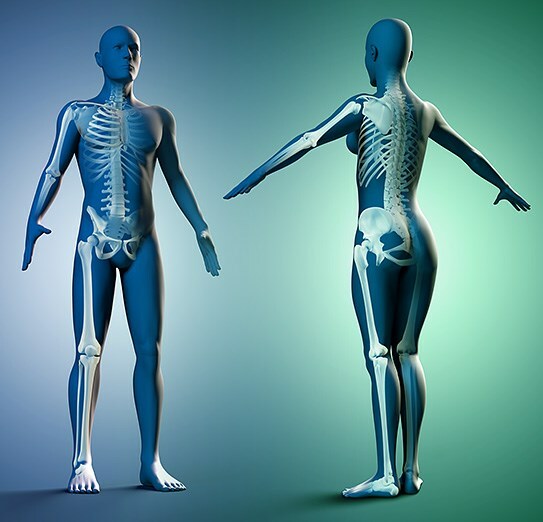 Rehabilitation of movements patterns is often required in the treatment of these conditions. Pain in the foot and ankle can be local from trauma or overuse, as well as being referred from above particularly from the lower back. Pain in the underneath part of your heel is often from the tendon underneath your foot called your plantar fascia. This can be caused by weakness in the deep foot muscles which help stabilise your foot. It can also be caused by problems in your calf muscles and can also be due to weakness in your core because you tend to collapse into your feet. With 130,000 treatments in 18 years covering foot disorders up to headaches, there are few injuries and ailments we haven't seen before and being a multi-disciplinary clinic covering over 14 disciplines means we have the combined expertise to treat whatever your problem is and get you better. If your symptoms don't fall into the above examples, please enquire at the clinic, as many other problems are encompassed within the 14 different clinical services we offer.